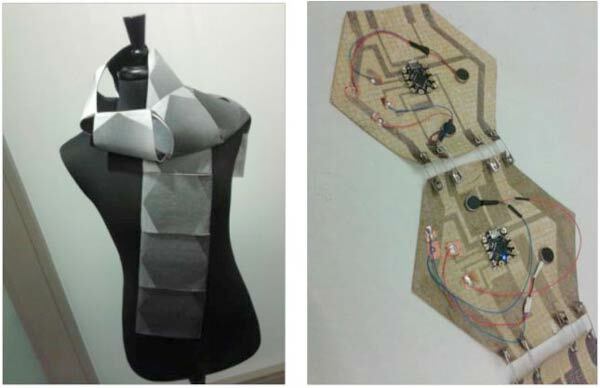 Researchers at Microsoft Research labs have developed a new smart scarf prototype called Project SWARM (Sensing Whether Affect Requires Mediation), a modular cotton scarf that aims to help keep wearers healthy and happy. Clothing and accessories have become increasingly popular as an instrument for developers to link up to our smart devices for medical reasons, and Microsoft’s latest wearable is designed to help people with disabilities to obtain additional information and interpret others’ emotional states via signals gathered from sensors. Six actuations have been identified by the team to provide a multimodal language for conveying emotions, including heat, cooling, music, weights, vibration, and lighting, allowing the device to also respond to the user’s own emotions. 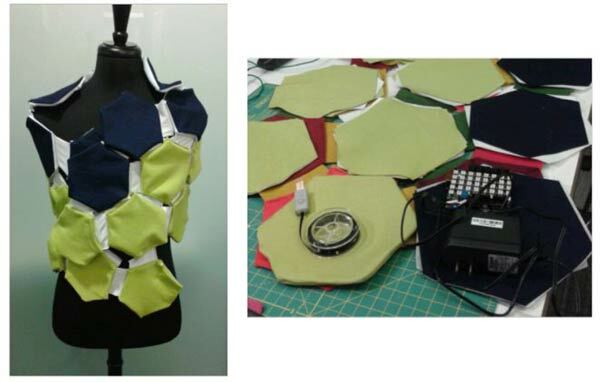 Made up of hexagonal industrial felt and conductive copper taffeta modules, the prototype’s main focus is to study whether new therapeutic technology like this could benefit those with mental or physical disabilities. The scarf can be taken apart by the user and rearranged while the form factor and the special sleeve it fits into make the technology, which is essentially a medical device, more discreet. It can be paired with a smartphone using Bluetooth and an app was also developed that can be used to command the scarf to vibrate or heat up. The team is looking to add cooling modules to the scarf that could potentially provide calming effects. Unfortunately, there’s no guarantee that work on the project will continue as it remains more concept than creation. In other words, we won’t expect to find this scarf on store shelves any time soon.